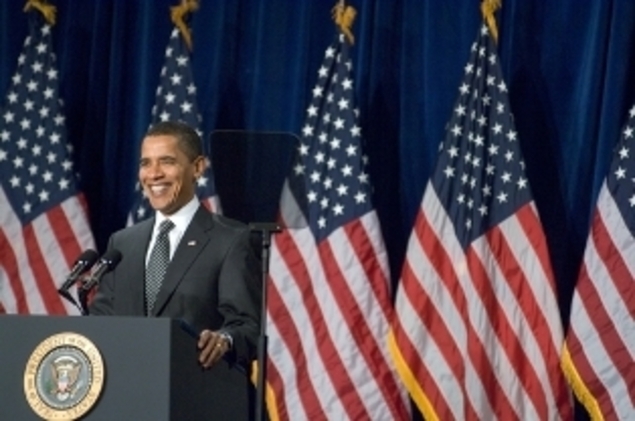 President Obama proposes to cap student loan payments at 10% of discretionary income as part of a package of proposals outlined by the White House Task Force on Middle Class Families on January 25, 2010. Debt would also be forgiven after 20 years in repayment. This proposal would enhance the income-based repayment plan which was enacted by Congress as part of the College Cost Reduction and Access Act of 2007 and which became effective on July 1, 2009. Income-based repayment bases monthly payments on federal student loans on the borrower's discretionary income, not the amount they owe on their student loans. Income-based repayment currently caps student loan payments at 15% of discretionary income and forgives the remaining debt after 25 years in repayment. Discretionary income is defined as the amount by which adjusted gross income exceeds 150% of the poverty line. The changes to help middle class families will be proposed as part of the President's federal budget for the fiscal year starting October 1, 2010 (FY2011). It is possible that the changes to income-based repayment could be implemented sooner by adding them to the Student Aid and Fiscal Responsibility Act, which passed the House of Representatives in 2009 but is still pending in the Senate. This proposal would yield meaningful repayment relief to hundreds of thousands of borrowers whose federal student loan debt exceeds their income. It would cut their monthly payments by an additional one third and forgive the remaining debt sooner. For example, a borrower with $40,000 in federal student loans and an adjusted gross income of $30,000 a year could see their monthly payments drop from $172 in the current income-based repayment plan to $115 a month. This compares with the monthly payment of $460 under standard ten-year repayment and $278 under extended 25-year repayment. The acceleration of the loan forgiveness will ensure that borrowers are not still paying back their own federal student loans when their children enroll in college. Income-based repayment is available to borrowers in both the Direct Loan and federally-guaranteed student loan programs. It may be used with Stafford, Grad PLUS and consolidation loans, but not with private student loans, Parent PLUS loans or consolidation loans that repay Parent PLUS loans. Unfortunately, under current law the loan forgiveness is treated as taxable income, except for borrowers who qualify for public service loan forgiveness. (Borrowers who repay their loans in the Direct Loan program and work full-time in public service jobs get forgiveness of the remaining loan balance after 10 years.) For further information, please see the White House Press Release and Fact Sheet. See FinAid for information about the current income-based repayment program. Update: President Obama's proposal was enacted as part of the Health Care and Education Reconciliation Act of 2010, but with a delayed effective date. The improved version of income-based repayment will be available for new borrowers of federal student loans starting July 1, 2014. Existing borrowers will not benefit, as the changes are not retroactive.